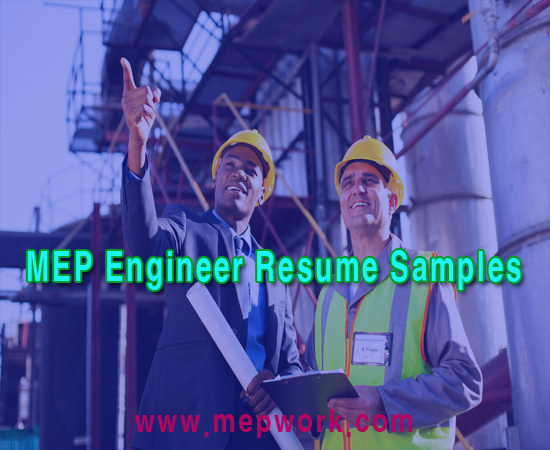 Free MEP engineer resume samples pdf are submitted below for free download. For those MEP engineers who are going to apply for a job, we provide you with free resume samples pdf for real persons. MEP engineers work as design or site engineers so you need reume examples for MEP engineer to follow their steps. Download free CV examples for MEP engineer for applying for a job and interview. What does MEP engineer do? MEP stands for mechanical, electrical and plumbing engineering. These three technical disciplines encompass the systems that make building interiors suitable for human occupancy. MEP installations are addressed together due to the high degree of interaction between them, and also to avoid conflicts in equipment locations - a common problem when electrical, mechanical and plumbing systems are designed in isolation.